I am one true lover of rolls, be it an Egg roll or Chicken roll. I know many of you do also. But fact is it's always better to have home cooked food than consuming street food, here everyone has one common complain about that - taste is not the same yaar ! right ? 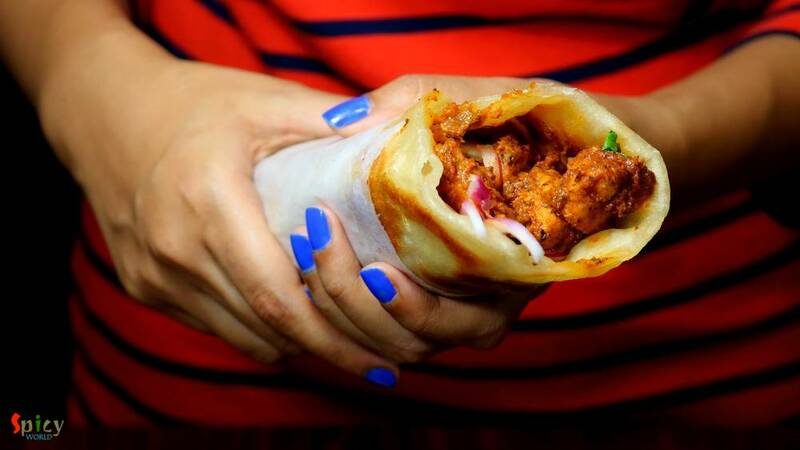 Being a crazy fast food lover I can guarantee you that this is one top notch recipe of Butter Chicken Roll. 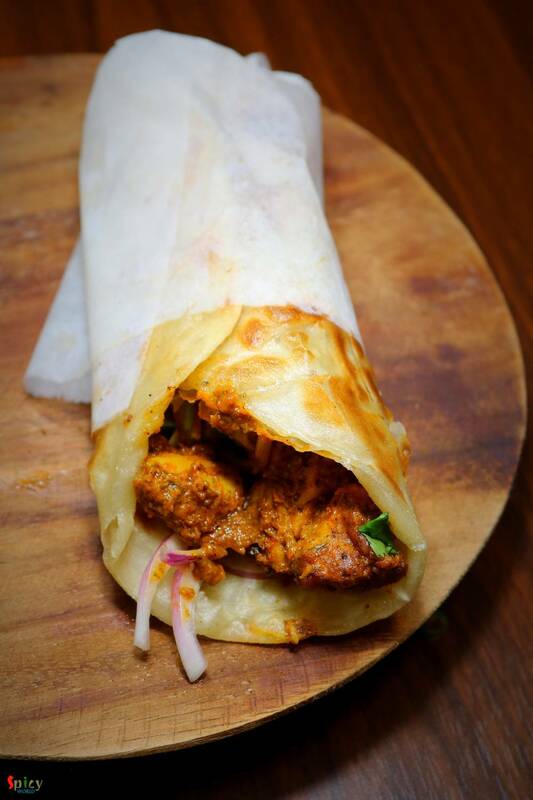 I've combined two best ideas (butter chicken & roll) in one recipe. 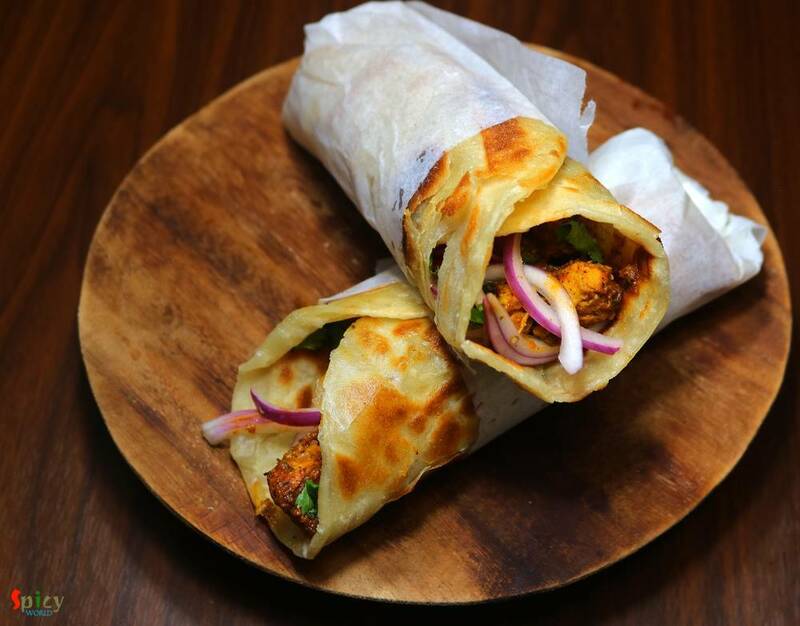 With some left over butter chicken (post is up on the blog) you can create this incredible street style roll. So, from now on whenever you are making butter chicken, make some extra ... you know why! 1 medium bowl of butter chicken. Some dry flour to roll the parathas. A hand full of thinly sliced onion. Chopped 2 Tablespoons of coriander leaves. Half Teaspoon of chaat masala. In a mixing bowl add flour, pinch of salt and 2 Teaspoons of oil. Mix very well. Gradually add water and start mixing. Make a soft dough. Knead it very well for 2 minutes. Apply some oil on top and cover it up for 30 minutes. In the mean time reheat your Butter Chicken. If you have with bone chicken pieces, just use the meat part, discard the bones. Mix the lemon juice and chaat masala with onion slices and let it rest for 15 minutes. To make the lachha paratha take a duse ball size portion from the dough. Sprinkle some dry flour and roll it to a semi thin disc. Apply some oil and dust some dry flour. Make a cut from center towards the edge, then start rolling from one end to another end. You will see great layers ! Press it with your palm and rest them for 5 minutes. Then roll them again into a thin disc by applying some dry flour. After that fry the paratha with oil. 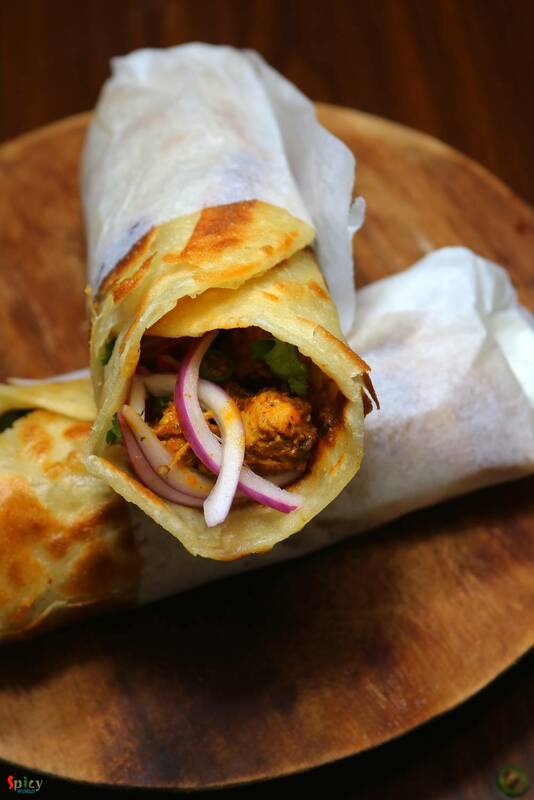 To assemble, place one paratha in a plate, add butter chicken, onion slices, chopped green chilies and coriander leaves. Roll it tightly and secure one end with a rectangular paper. My butter chicken had enough gravy that's why I didn't need any other sauces like - green chutney or chili sauce or ketchup. But feel free to add them before rolling if you want. As per my suggestion green chutney goes best with this type of rolls.